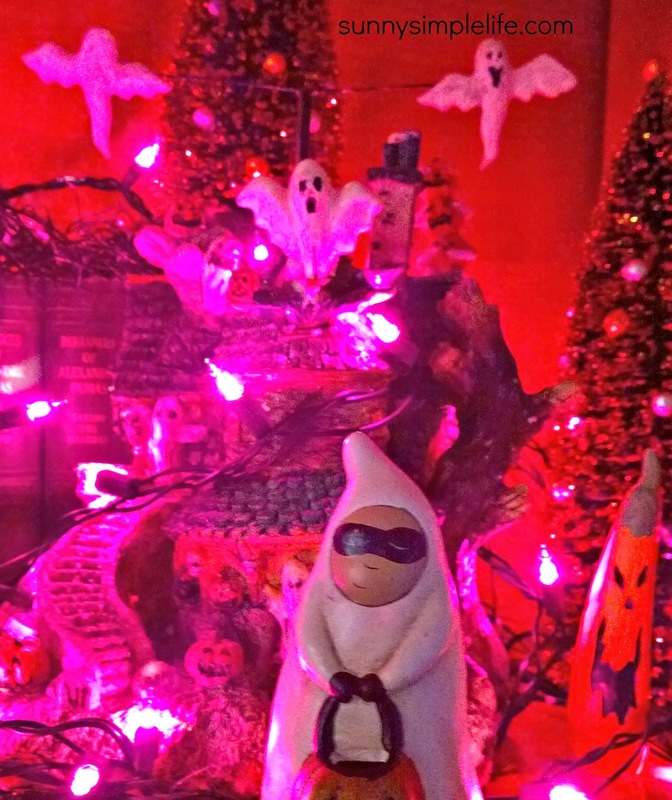 Every year we put up our spooky little Halloween village. It grows and changes locations but is always fun and just a bit spooky. This year we decided to add some purple lights for that Halloween glow. 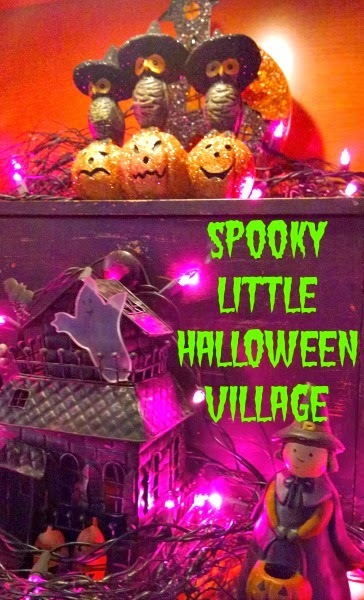 Haunted houses, Halloween trees, ghosts, goblins and even a few trick or treaters fill the little town. Hope you enjoyed our little spooky tour. Love the little pilgrim trick or treater. CUTE! I am a daily, long time reader of your wonderful, happy blog. Missing you and hope all is well.